Click the button below to add the Anti-Aging Nutritive Serum to your wish list. Have any of that pesky age or dark spots on your face, neck area or hands? Or maybe a blemish that just won’t go away. Are you tired of using concealers and not sure if chemical treatments with Hyaluronic Acid or Hydroquinone are safe? This nutrient rich creation fights uneven skin tone and diminishes the appearance of dark spots so skin looks more radiant and younger. Gently works against signs of age/dark spots along with those other pesky skin concerns! It provides all day long hydration in one simple easy to use product. Made for all skin types, our formula is truly gentle in repairing and renewing skin. Your skin will feel more youthful and vibrant than ever before. Our Anti-Aging Nutritive Serum takes a time proven approach, an exclusive formula crafted from all natural and nutritive ingredients that you will not find in any other product. Made with care and love in the USA with ingredients like Chia Seed which contains seven times more Vitamin C than oranges, combined with other rich sources of Vitamin C found in Kukui Nut, Apricot Kernel, Pomegranate, and Rosehip, makes this serum the ultimate nutritive source to replenish and rejuvenate your skin. This spot remover is absolutely wonderful! The serum helped me fade my sun spots and discoloration. It doesn't make your skin feel oily and it dries very fast! I like the way it made, keeps my 60 plus-year-old skin looking youthful. Several of my friends have commented on how good my skin looks. Very Pleased! A powerful blend of nutritive goodness helps brighten skin tone, smooths fine lines and evens texture for visibly vibrant skin. The nutritive serum helps diminish the appearance of age and sun spots for a renewed clear finish. Nothing I have used before has made such a difference in my skin tone by fading away from my dark age spots. It works wonders on my neck, décolleté and hands with an overall luminous glow. I will continue to use it as my skin looks much younger than before. I am thrilled with this dark spot product. My skin has a great natural glow now. Just the other day someone commented on how well I looked. My skin tone is even and the fine lines around my corner of the eye area are less noticeable even the rough patches on my forehead have disappeared. This serum has no water, silicone, alcohol or any other filler. Nutritive Vitamin C rich serum made fresh in the USA. Pomegranate Seed Oil has anti-inflammatory properties that enhance skin texture, penetrate deep into the skin, and contain anti-aging nutrients. 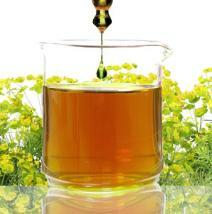 Grapeseed Oil has skin tightening properties that minimize under eye circles and is a nutritive moisturizer. Avocado Fruit Oil acts as a moisturizer, attacks free radicals and works as a smoothing anti-aging treatment. Chia Seed Oil is a vitamin-rich, long-lasting moisturizer. Foraha Oil promotes the formation of new tissue, heals and assists with the growth of healthy skin, and is effective against scars and stretch marks. Rosehip Oil has skin brightening and anti-aging properties that improve the appearance of skin tone and pigmentation. Use this anti-aging serum sparingly as needed on areas of the face or neck. • Pat into the skin gently to prevent aggravating the skin. • A great moisturizer to look at is our Anti-Aging Facial Lotion. 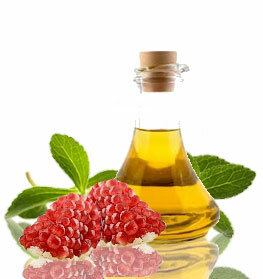 Persea Americana (Avocado) Oil, Punica Granatum (Pomegranate Seed) Oil, Vitis Vinifera (Grapeseed) Oil, Calophyllum Inophyllum (Foraha) Oil, Borago Officinalis (Borage) Oil, Rosa Rubiginosa (Rosehip) Oil, Aleurites Moluccana (Kukui Nut) Oil, Camellia Oleifera (Camellia Seed) Oil, Prunus Armeniaca (Apricot Kernel) Oil, Simmondsia Chinensis (Jojoba) Oil, Citrus Sinensis (Orange Peel) Oil, Pelargonium Graveolens (Geranium) Oil, Boswellia Carteri (Frankincense) Oil, Cymbopogon Martinii (Palmarosa) Oil, Cymbopogon Flexuosus (Lemongrass) Oil, Salvia Hispanica (Chia Seed) Oil, Tocopherol (Vitamin E). I have tried so many products that claim to reverse wrinkles and aging and this one actually works!! My wrinkles are disappearing. I'm thrilled! To my surprise it has worked wonders on my aging – sunspots on my face and hands. One week of use and I can already see a comparable difference It does not burn or irritate even my sensitive skin, and leaves no oil behind. They have gone from dark brown to a very light brown. Can't wait to see the results in a few more weeks of use. I started ushing this serum not quite 2 years ago. I love it, highly recomend it, get it. The serum soaks right in, it is not greasy or heavy and causes no breakouts. I will never be without it. I've been so impressed with this Serum, and considering what you pay for it versus other serums on the market. I have sensitive skin and it does not irritate me at all. My skin is looking healthier and brighter since I started using this serum and my age spots are starting to fade. This product is just wonderful. I love the fact that it's all nutritive. I so love this facial serum ! one reason is because it uses nutritive and botanical products which are non hazardous and at the same time are good for skin. Also, this product makes my skin so smooth, bright and even. It gets absorbed by your skin quickly and u can feel that it somehow tightens your skin, in a good way. You will look more youthful using this product. I am always skeptical about skin care, but this product is well worth the money. Within 3 days of using it, I had people at work asking what I use on my skin. Will definately buy again and again! Every drop of this serum has powerful vital nutritive nutrients to help lift and firm your skin from the inside, correcting wrinkles and increasing firmness as this weightless serum is instantly absorbed. It is ideal for a variety of skin concerns including dark spots, age spots, post acne marks to improve the look and feel of your complexion. Chia Seed contains 7 times more Vitamin C than Oranges, combined with other nutritive rich sources of Vitamin C from Kukui Nut, Apricot Kernel, Pomegranate and Rosehip, these oils make this serum the ultimate source for Vitamin C to replenish and rejuvenate your skin. Being middle aged I find using the Nutritive Facial Serum with the Facial Lotion works much better for anti-aging and moisturing, I can already tell a difference. I have since ordered the Day Cream to use in the winter instead of the lotion but I have not received it yet. I used to use lotions on my face and neck and my neck was always itchy and around my eyes always felt dry and looked wrinkly. I switched to coconut oil and then after awhile I found this amazing oil. I use it morning and evening. It penetrates the skin like nothing else I've tried, leaving it soft, smooth and no itchy or dry spots. Also it doesn't leave you feeling or looking greasy. I recommend it to anyone with any skin type. see results after one week! Just started treatment a week ago and I already see results. I’m excited to see how well it really works in the coming weeks. I put this on at night and wake up with a beautiful even tone glow. Being an oil on your face, it doesn't make you break out or leave your skin greasy come morning. Night time product for sure. Moisture in a Dry Climate! i've used this serum for over a year now, mainly on my face. It is very dry here in the Rockies (CO), so this is my facial base layer, followed by JN facial moisturizing cream. While I'm still aging (who isn't? ), I start each day not feeling dried out & it lasts through each day. HUGE IMPROVEMENT IN SKIN, ESPECIALLY ALL THOSE LINES AROUND MY LIPS!!! LOVE THE SKIN SERUMS..I USE THE ANTI AGING AT NIGHT & THE RENEWAL DURING THE DAY..VISIBLE IMPROVEMENT OVER ALL!!! I use JustNutritive's toner, this serum, and then their facial lotion. I usually get the occasional zit but since using these products, I have not even had one! I've been using this routine for a month and just last week, my husband said to me how is your face so soft? I was like it's working!! I absolutely love this brand and their products. BUT this serum is amazing! If you want anything, get this serum. This serum actually penetrates through my skin leaving it fully moisturized. I have used so many products for my face in the past to combat dry skin and this product has proven to be the most effective without breaking me out. I have acne prone skin, but noticed that since using just nutritive products my skin does not get irritated and break out. It is probably due to the fact that they use no chemicals in their products. I loved it and highly recommend. Been using for a couple of years. No more dermatitis or cold sores! Age spots gradually fade and my skin drinks it up. Wish it were cheaper but it does go a long way. Love this product!